Today: The foolproof chicken recipe that will get you through winter is anything but bland, boring, and sensible. For anyone who's ever wanted to throw a dinner party but been unnerved, for anyone who thought they needed a dry run of every dish, we have a new hero -- and, through her, a recipe to bring us praise and camaraderie and lusty conversations over bottles and bottles of wine. The recipe isn't what you'd expect, but maybe the hero is. Tracey Jackson, an accomplished author of screenplays and books with a self-described "rather dormant relationship to food and cooking", was re-inspired to throw a dinner party after reading Provence, 1970, a chronicle of the dinners and conversations between Julia Child, Richard Olney, Judith Jones, James Beard, and M.F.K. Fisher over one winter in the South of France. But Jackson didn't ease back in. She invited both the book's author, Luke Barr (he's also Fisher's great-nephew), and Food52's own Amanda Hesser. Our hero didn't make something she'd served a number of times, nor something she knew would be foolproof. She chose a recipe almost at random out of Olney's Simple French Food, for a whole chicken, cut up and cooked in custard. "I've never been intimidated by cooking," Jackson told me when I asked her how she was brave enough to do this. "What's the worst that can happen? Amanda will still like me." 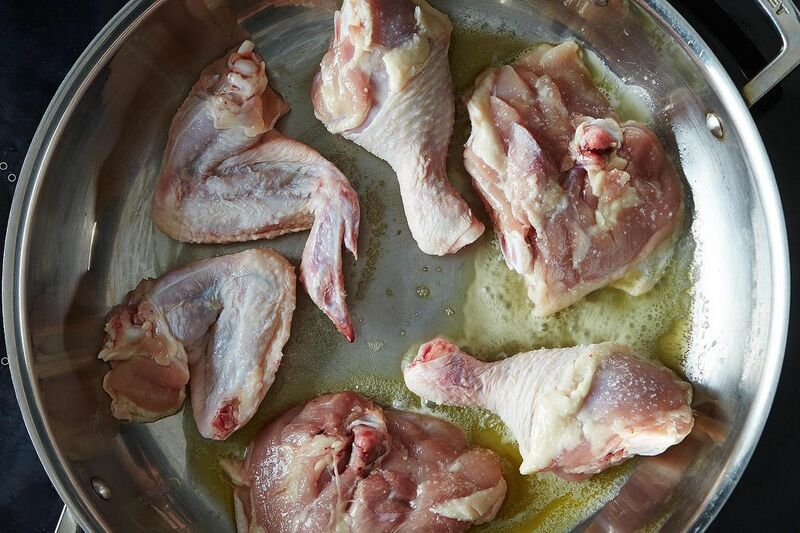 The recipe follows the same initial theory as Jamie Oliver's chicken cooked in milk: Crackle the chicken's skin up on the stovetop to get some browning, then cook it through as gently as you can in the oven, in a bath of dairy, a.k.a. the tenderizing forces of lactic acid and fat. 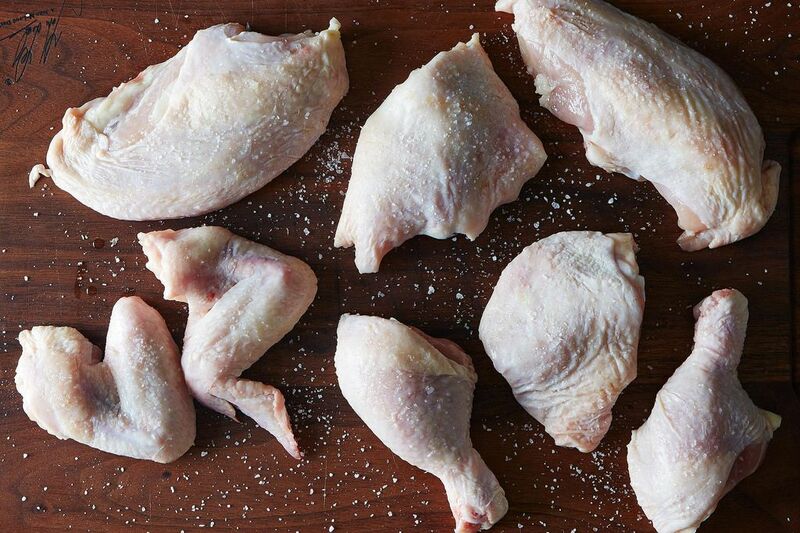 Olney's milky chicken diverges after that -- it has a few more ingredients and steps, though nothing that's outside the realm of dinners you can make tonight. 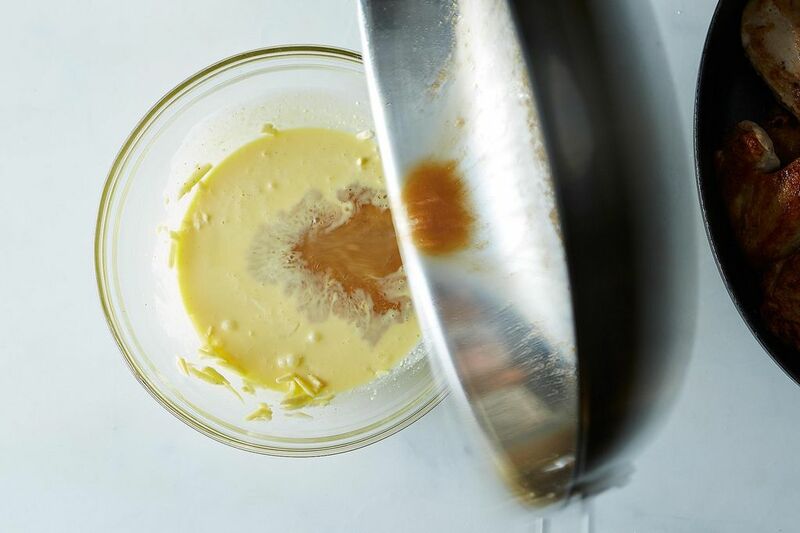 But this one is more likely to play at a dinner party, celebration, or night you're in more desperate need of comfort, and could use a little chickeny custard to bolster you. Think of it like a crustless quiche with oversized add-ins. If you're already thinking it sounds too rich, you're sort of right, but hear me out. 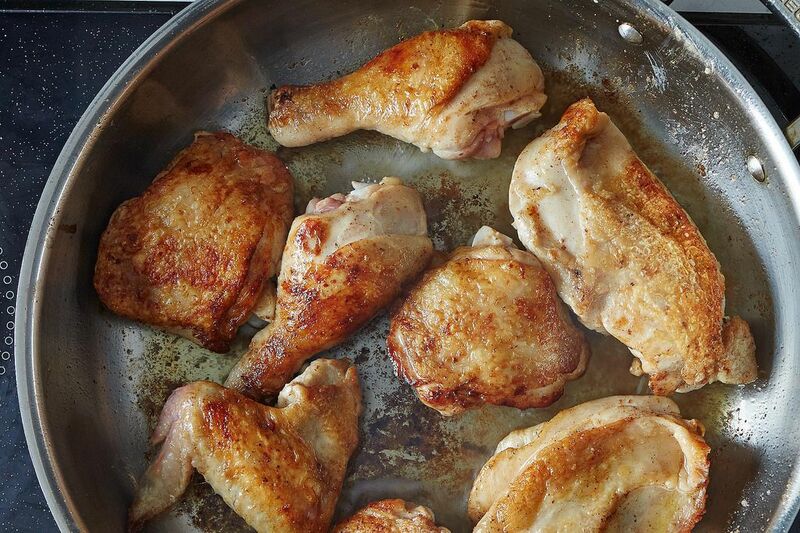 In the end, there is balance, there is harmony, and, most importantly, there is one of the most flavorful and delicately-cooked pans of chicken you'll ever set on your table. 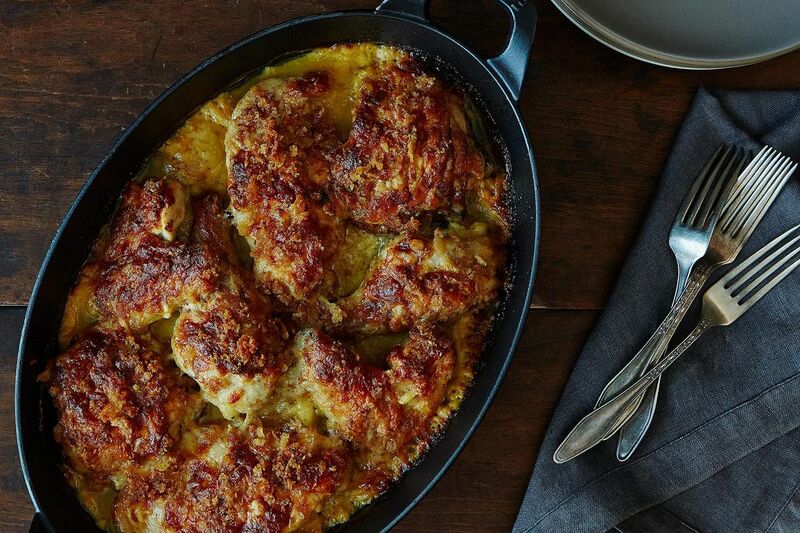 You'll brown chicken pieces in butter, then cobble them into a shallow gratin pan. 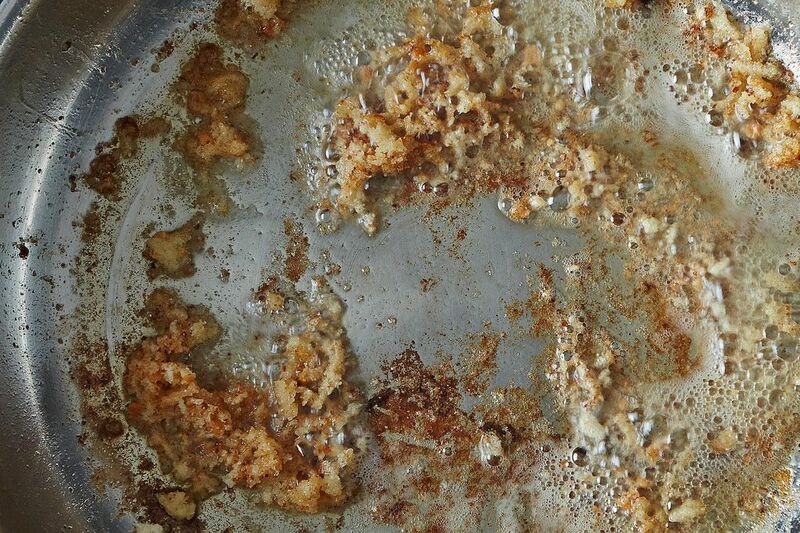 You'll toast breadcrumbs in the residual chickeny butter, then scoop them out and hang onto them. Then you'll splash in some white wine (the rest is for you! 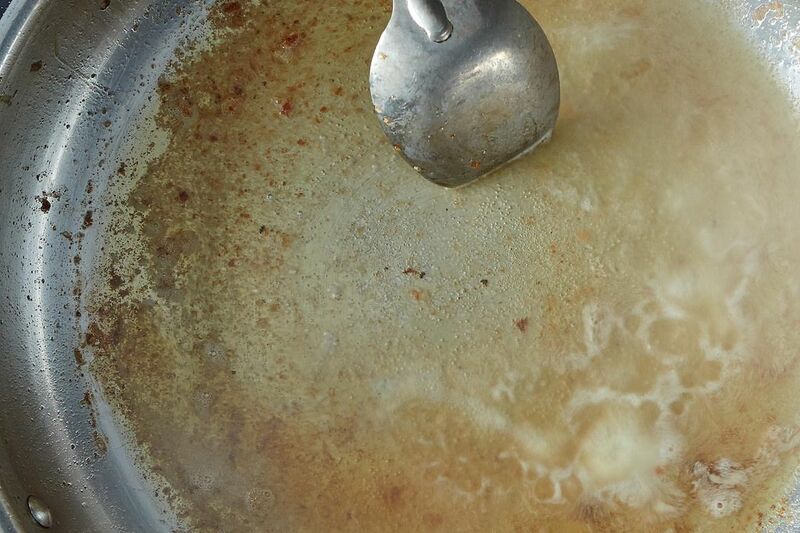 ), deglaze the brown bits of chicken and lingering bread, and reduce whatever's left in the pan. 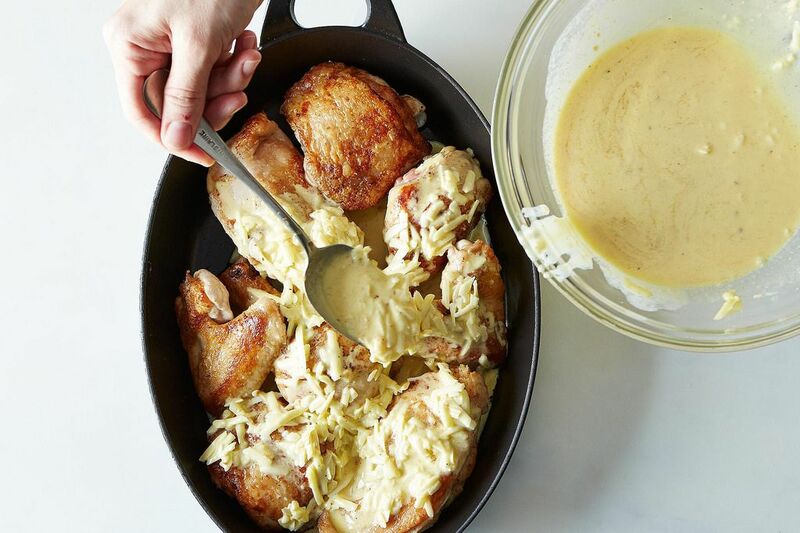 Finally, you'll mix together cream, Gruyère, egg yolks, and lemon juice, add the winey reduction, and spoon that all over the chicken. Those schmaltzy breadcrumbs will go back on top and you'll bake till the chicken is cooked through and the sauce has thickened into a rich custard all around. All of this, for all of its seeming pageantry, has taken no more than an hour, and done so intermittently with making your sides, tidying as you go, and talking to your dinner companions. Every bit of the chicken's potential has been captured and put back to good use. 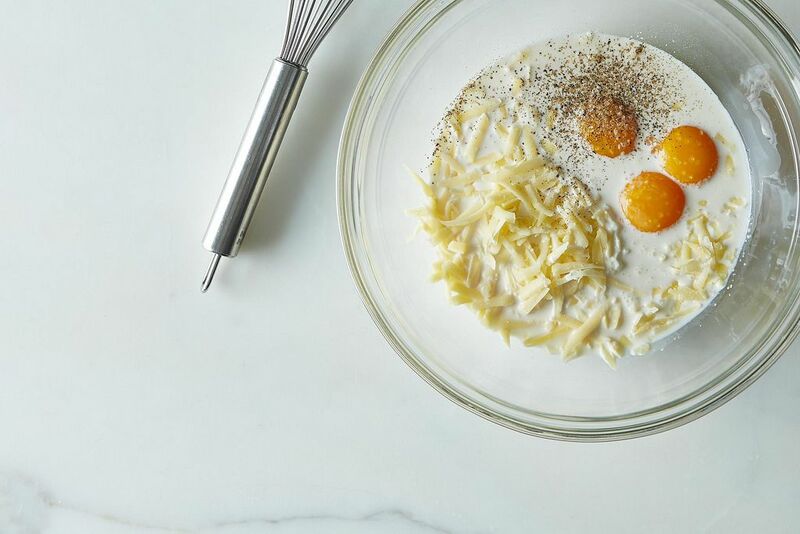 The cream and egg don't wash out the other flavors, but rather simmer down and intensify them. The brightness of wine and lemon and the salty funk of Gruyère tug you back from the buttery brink. Jackson served the chicken simply, with Julia Child's foolproof rice and haricots verts vinaigrette. She started the meal with pretzel goldfish crackers (another nod to Julia) and finished with Amanda's raspberries with brown butter spooned over. And you can too. 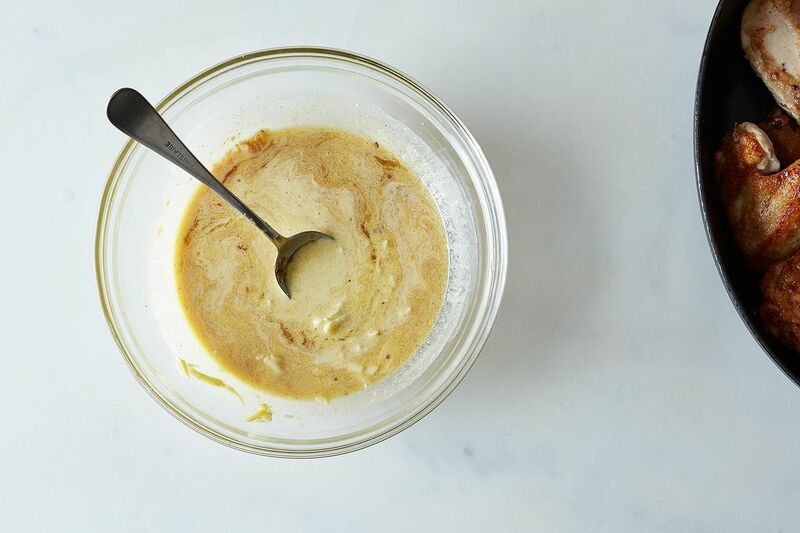 Got a genius recipe to share -- from a classic cookbook, an online source, or anywhere, really? Please send it my way (and tell me what's so smart about it) at [email protected]. Thank you to Amanda Hesser for this one! I think you'll find Olney was there long before the tweakings of Jamie, to make recipes look as if they are his idea. My sauce separated as it baked. Any advice? We made this last week and loved it -- even the kiddos. It paired wonderfully with a nice acidic white wine. The leftovers were equally as good -- hard to do with chicken. The one thing we'd change, purely personal preference, is we'd remove the skin. Cheers! Isn't this strange. Your chicken soup called for breasts and I used dark meat instead and this recipe calls for pieces with bones and I used breasts instead. When the topping is so delicious, I don't like bones getting in the way. Your choice, but breasts turned out wonderful. Just don't overcook them. I have to say that this was a really terrible book. Makes a case for burning your diaries. I hope MFK was misrepresented here by her nephew because she comes off poorly. And her criticisms of Olney and Sybille Bedford make her look petty and simple minded. Made this tonight it was delicious! So good! The wine reduction and the lemon juice keep the sauce from being too rich. Crispy bread, used leftovers from the week, a nice crunchy touch. Yum! Made this last night--easy and divine! I haven't tried this from from the book but will now! 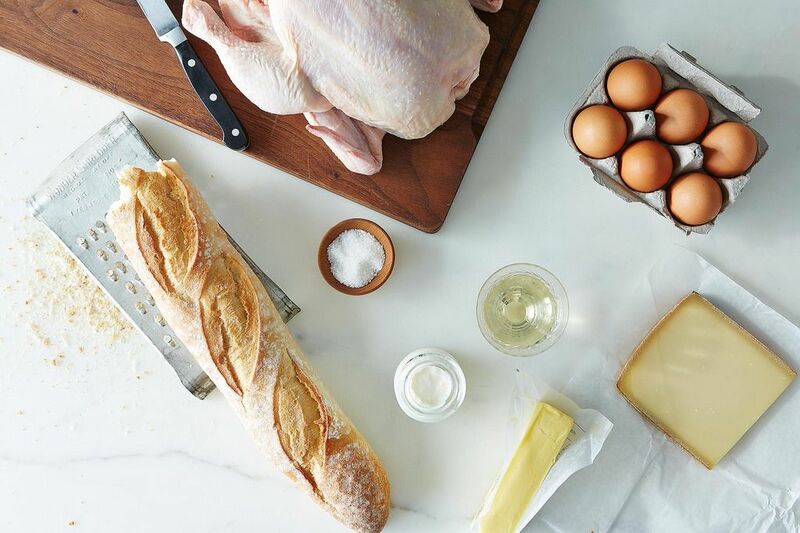 Also: best use of verbs in a cooking article - crackle and cobble. Makes the reading even better! I had no cream or Gruyère so I substituted coconut milk and Asiago and a tablespoon of Panko crumbs. Perfection. I knew Julia as well. She loved my fresh pasta. I was wondering/hoping this might work with coconut milk. Thanks! I have never liked chicken skin and that deters me from making a lot of dishes. This sounds wonderful, is it possible to do without the skin? Personally, I don't see why it couldn't be done without the skin. I don't eat the skin on chicken either. I'm curious - how are the pretzel goldfish crackers a nod to Julia? I knew Julia and when one went to her house for drinks it was one of her favorite things to serve.